Spectacular opportunity to own a secluded cabin, lodge AND barn (all built in 2014) on 10 acres of wooded land less than an hour from downtown Columbus! Both the cabin and lodge offer over 2,700 square feet of well thought out living space. The cabin features a spacious living room, kitchenette, office, two bedrooms, and two full bathrooms. 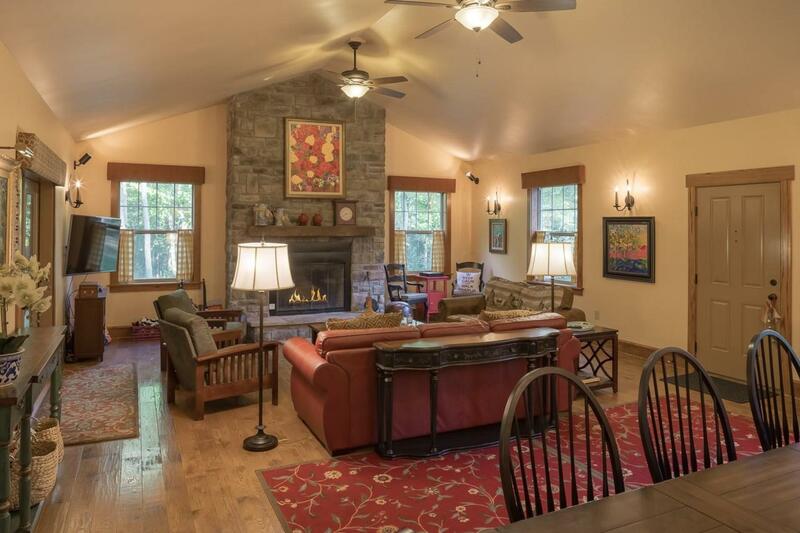 The lodge offers a bright kitchen with commercial appliances, large pantry, a laundry/mudroom, great room with a floor to ceiling stone fireplace, large dining room, 1.5 bathrooms, and more! Both the lodge & cabin offer incredible screened porches with picturesque views of the private wooded surroundings. This weekend retreat offers a winding, private driveway to escape from the everyday bustle of the city! Don't miss out on this fantastic opportunity! Lakewood Lsd 4504 Lic Co.